ENGAGING AUTHOR TALKS - INSPIRATIONAL WRITING WORKSHOPS - BOOKS WITH EDUCATIONAL ELEMENTS. See the special school visits offer at the bottom of the page. Elaine has a Master of Letters in Creative Writing. She teaches writing to adults, organises literary festivals, presents workshops for students and gives talks to writing groups and at libraries. She has several published books and more are being released each year. 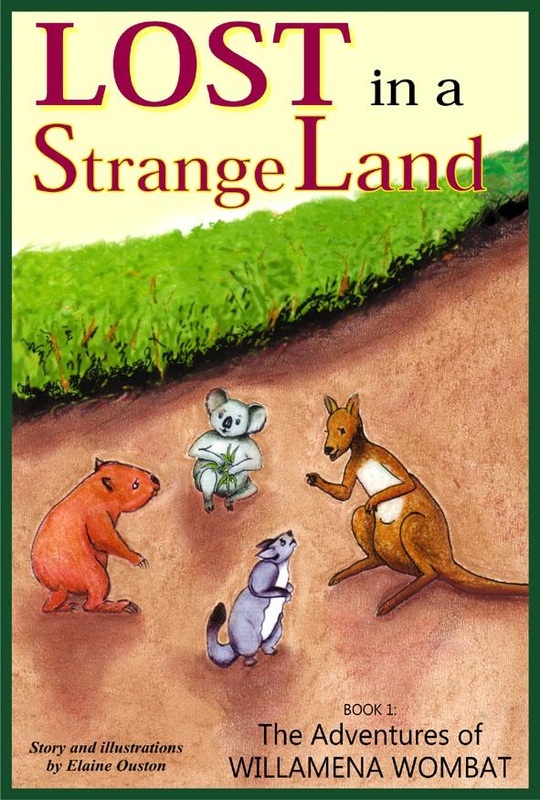 Lost in a Strange Land, is a chapter book for early readers and is an animal adventure story that shows the reader the differences and similarities between four of Australia’s native animals and their closest counterparts in Britain. 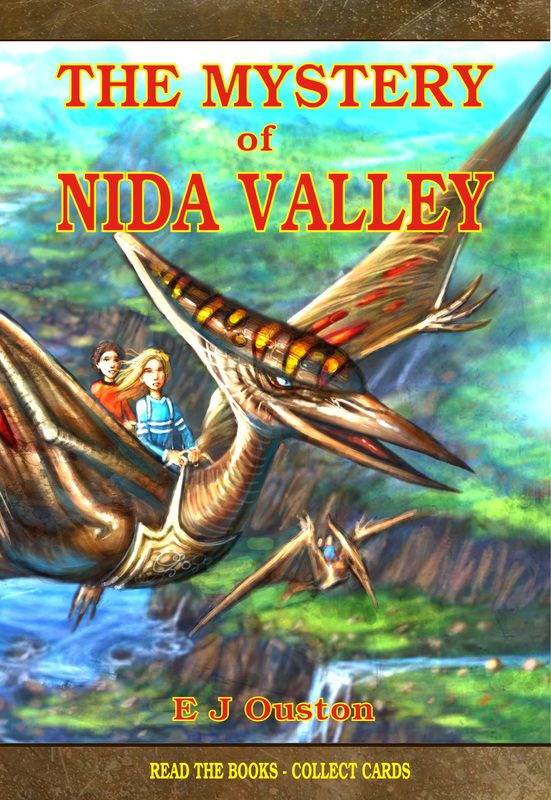 The Mystery of Nida Valley, a fantasy/adventure series, is an engaging, entertaining story for children from nine to young teens. Firmly based in Queensland, the story has the added appeal of an educational element as the reader learns about the Australian dinosaurs and the megafauna that roamed Australia before and just after human settlement. Extensive research was undertaken to ensure the accuracy of her information on the animals and dinosaurs. Meet the Megafauna is a non-fiction picture book with illustrations and information on 15 of Australia’s most unusual megafauna. This will be followed by a series of picture books with an entertaining story featuring two of these animals and showing how they lived and interacted with their natural enemies. 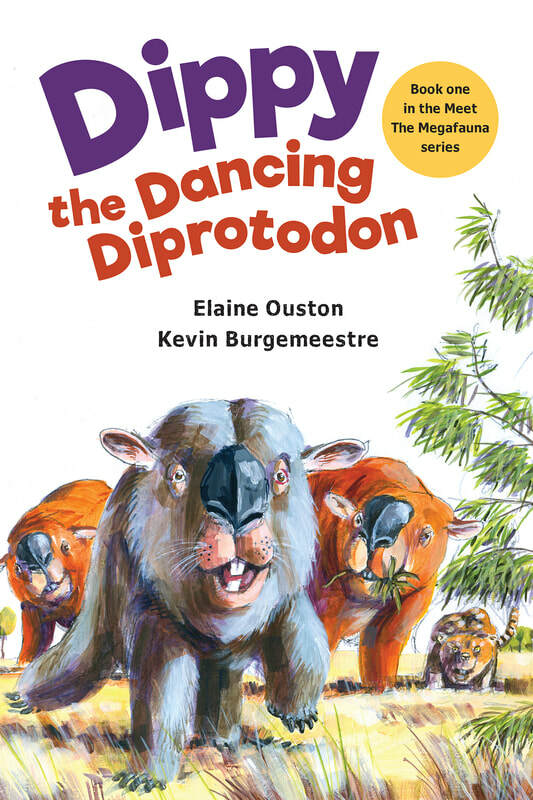 ​Dippy The Dancing Diprotodon, the first of the megafauna picture books, has now been released. The story of the marsupial lion and the diprotodon tells the reader how they would have lived in the wild. 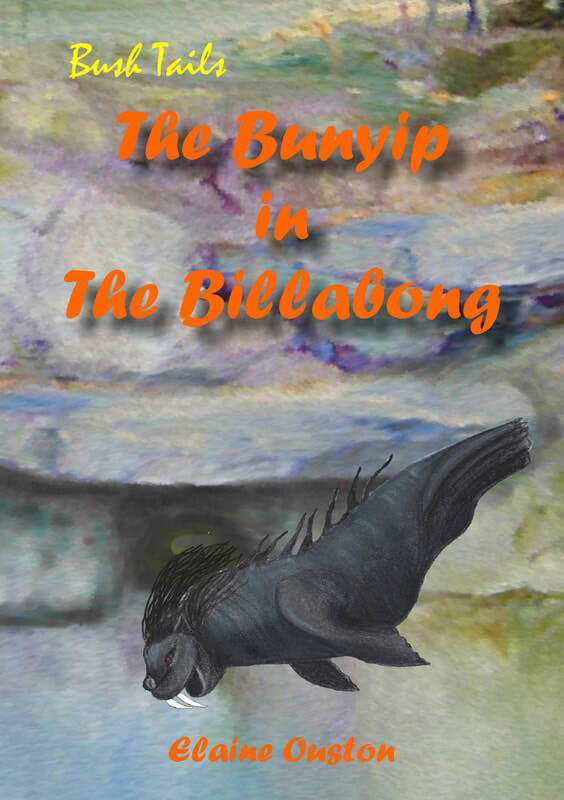 Bush Tails: A new series called Bush Tails now has two books; The Bunyip in the Billabong and A Close Call. These books are for early readers and tell stories from the Australian country. 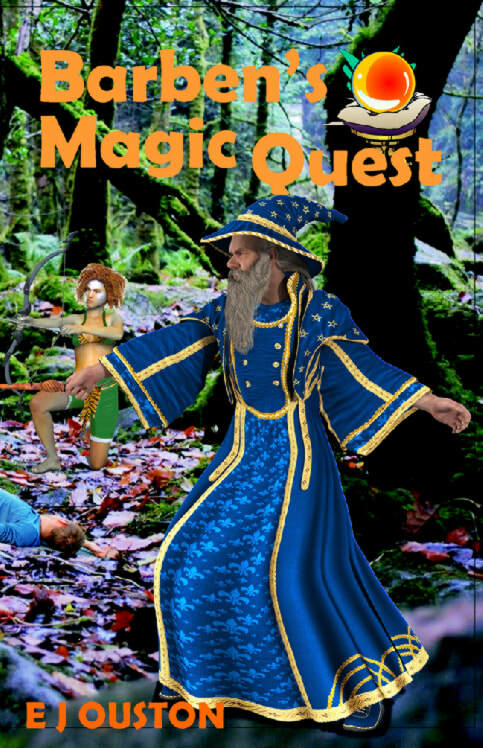 The first book in her new series, Barben's Magic Quest, with a theme of saving the forests of the world, was released in October 2018. More books in this series will follow. 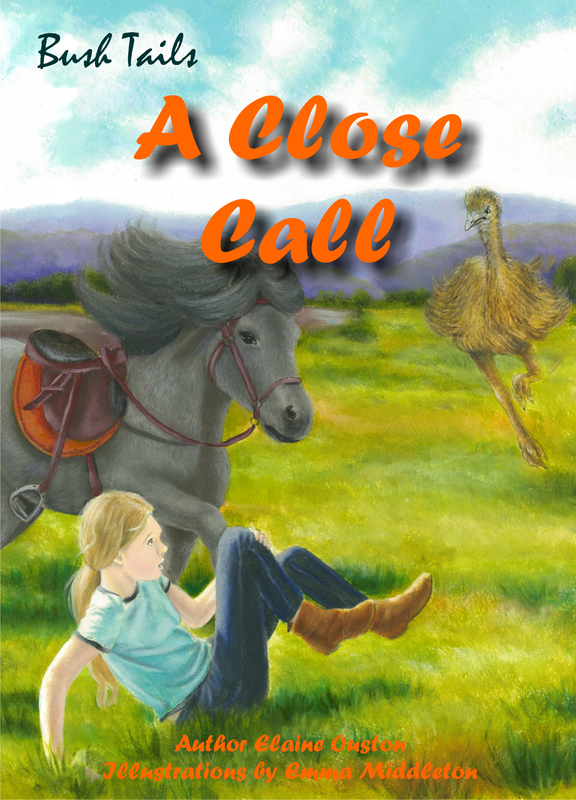 Elaine is available for author talks about her books and the animals, or for writing workshops for adults or children. Her sessions are interactive, educational and engaging. She is experienced at talking to groups and modifies her talk to suit the various age groups and needs of the school or writers' group. Lost in a Strange Land - A talk on writing the story and on the animals of Britain who live in a similar manner to our Australian animals. 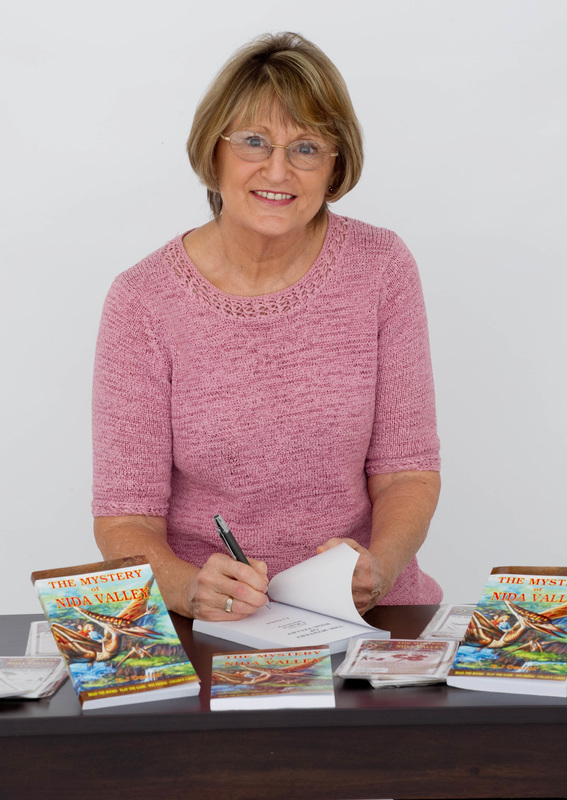 The books: The Mystery of Nida Valley series – How and why I wrote the series and the research needed and information on the megafauna and dinosaurs features in the books. For younger children - a reading of Dippy The Dancing Diprotodon, the story of the marsupial lion and the diprotodon tells the reader how they would have lived in the wild. It will be accompanied by a slide show and talk on the megafauna animals. - Barben's Magic Quest. How and why I wrote the series and the importance to the environment of saving the forests of the world. These talks and workshops can be adjusted to suit any age group and time frame. See below for more details on costing etc. 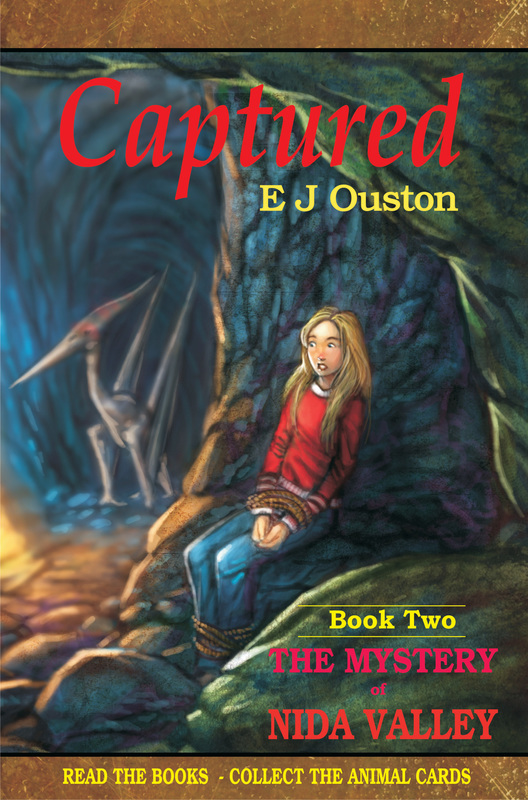 Teachers’ notes are available for The Mystery of Nida Valley series. They may be downloaded from the book’s website http://themysteryofnidavalley.com ​or ordered by contacting Elaine. elaine@austlitfest.com or phone 0417 351 717. No booking fee is required. No travel or accommodation is charged if the number of students is over 100. Costs: $3.50 per student. Minimum number of students 50. Three one hour workshops will be held over the course of a school day. ​A 20% commission in books or cash for sales of the authors’ books will be donated to the Library Fund or to the P&C. A collection envelope for prior or later sales, will be supplied before the event. A book fair can be conducted on the day of the visit. Visit the BOOK FAIR page for more information.